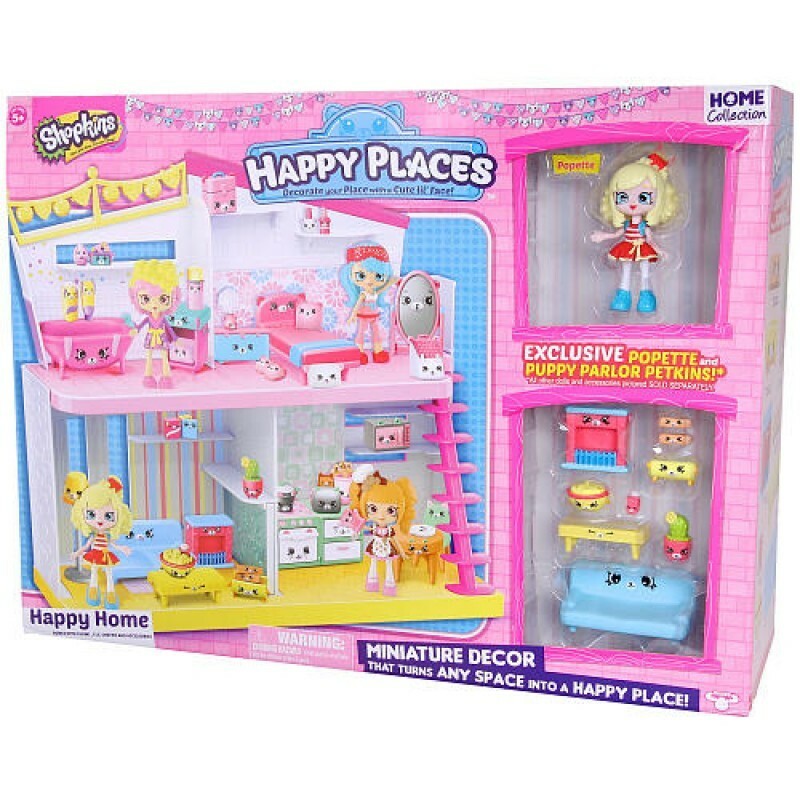 After a big day out in Shopville and with smiles on their faces, The Lil' Shoppies head home to Happyville to make their own Happy Places! Welcome to the Happy House! The Lil' Shoppies house that's alive with fun! Decorate and display your rooms with cute Petkins furniture. There are so many Petkins with cute little faces to help turn your rooms into cute Happy Places! 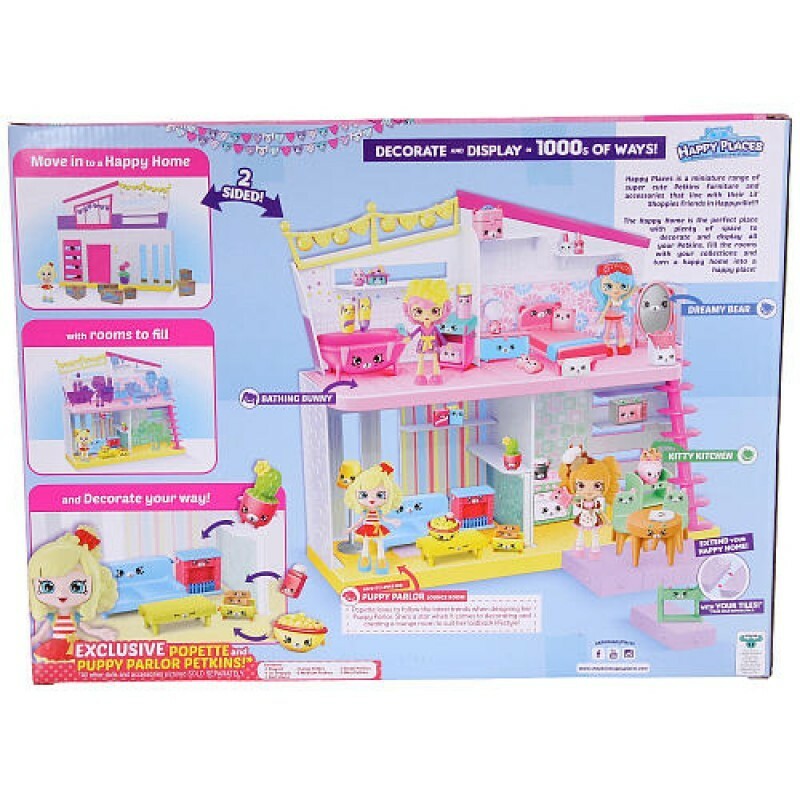 Decorate Popette's Puppy Parlor and create a room full of Puppy Love! Make a display that's really fetching or paws on the lounge for a while with some cute best friends. 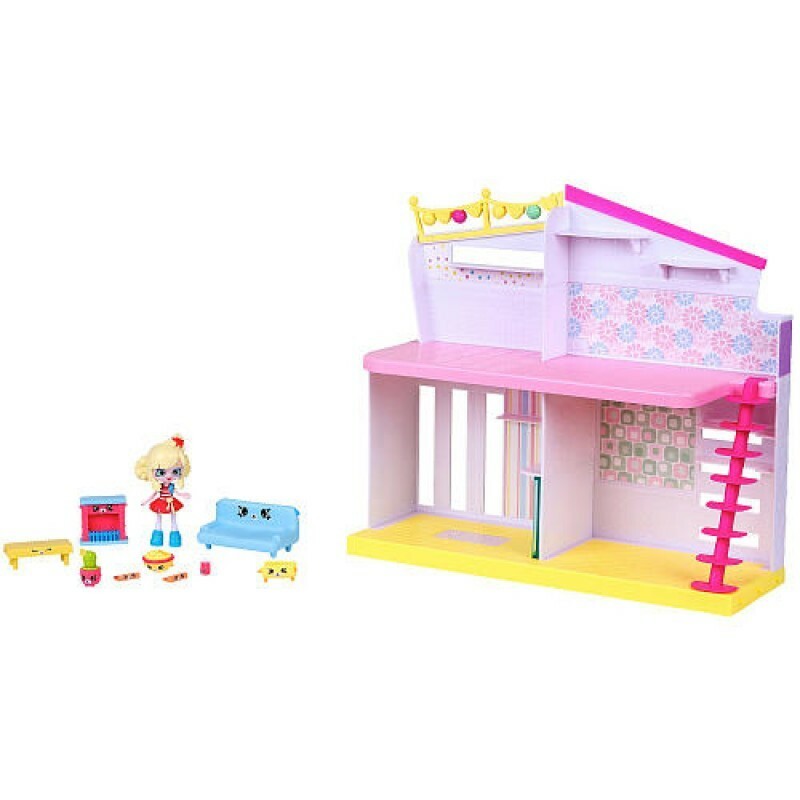 The Happy House comes with 1 Popette Lil' Shoppie, 1 Large Petkin, 2 Medium Petkins, 2 Small Petkins, and 2 mini Petkins! The cutest, most-collectible characters from your favorite shops!